Acquired certification for architectural education program in KAAB (The accreditation of architecture education is a system introduced for mutual recognition of international universities. It is a certification of education that must be acquired in order for students majoring in architecture to take the architectural qualification examination. Therefore, upon completing 3 years of on-the-job training, graduates of SU in Architecture can apply for the architectural qualification examination without having to take the preliminary examination). The Faculty of Music develops professional musicians with deep academic knowledge, advanced musical skills, and creative artistic expression. In addition, we cultivate professional musicians with good character standing and musical technique. 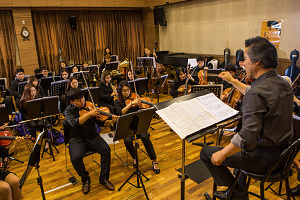 Major fields of study include orchestra, piano, voice, and composition. There are various concert performances, such as concert performances by majors, summer and fall concerts, orchestra concerts, and opera concerts. Through these performances and concerts, the potential artistic talent emerge from students. Thanks to these experiences, graduates may pursue a career as a professional performer as well as other career options. 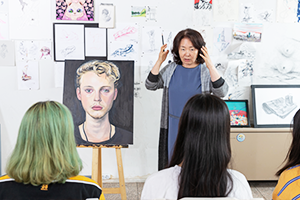 The Department of Art and Design aims to become a global leader in contemporary art and design and ride the Korean wave towards an era of digital economy, artificial intelligence, SNS, and convergence technologies. In converging polar opposites of art and science, the program endeavors to meet the demand for creative art and design.